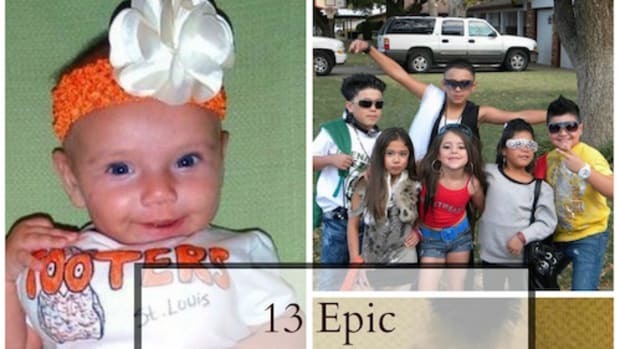 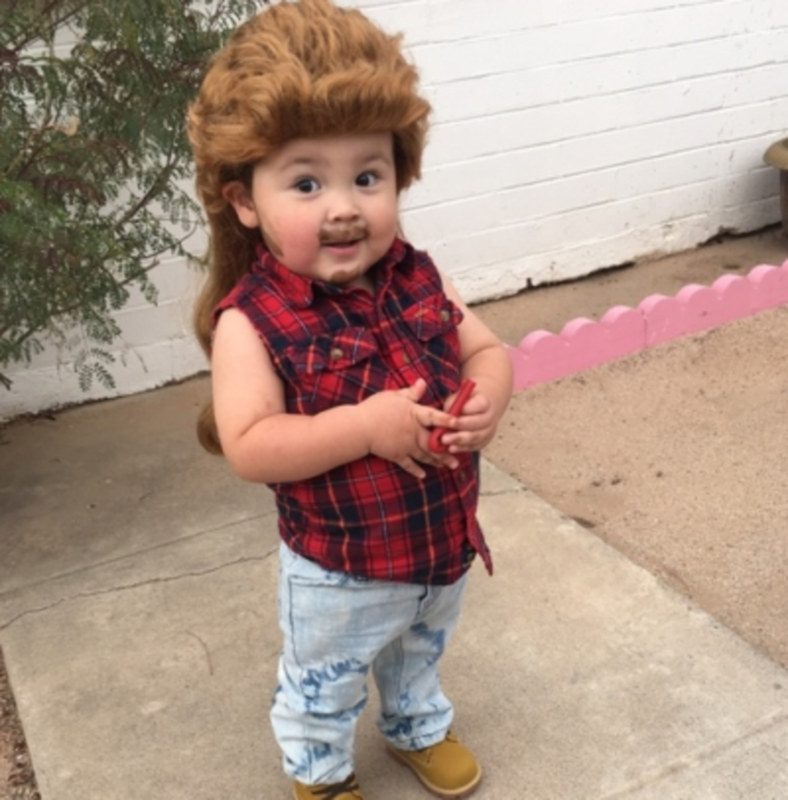 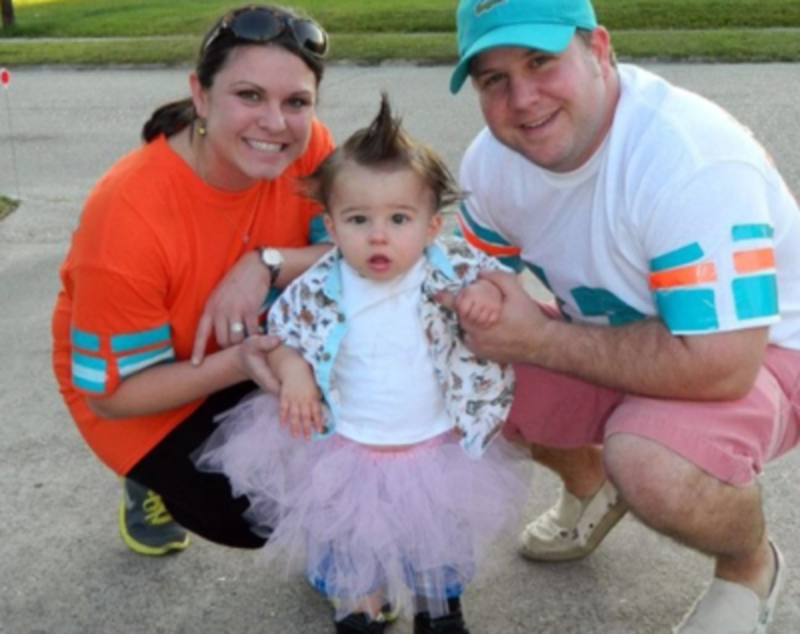 That’s the thing about pop culture, it moves onto the next thing long before the rest of us are ready so why not dress our children up as movie and celebrity references they can’t understand for Halloween so we can all re-live the glory days and have a good laugh while we’re at it, and all at the expense of our own offspring. 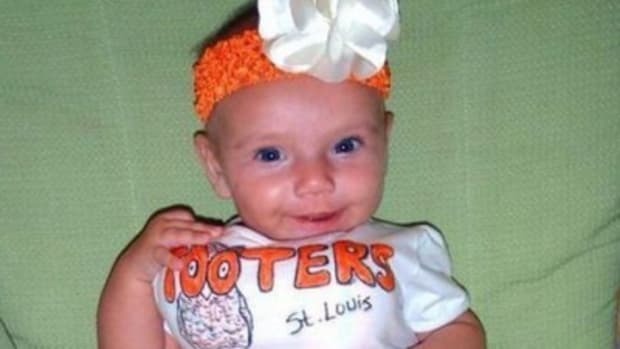 That’s called winning at parenting and you’re welcome. 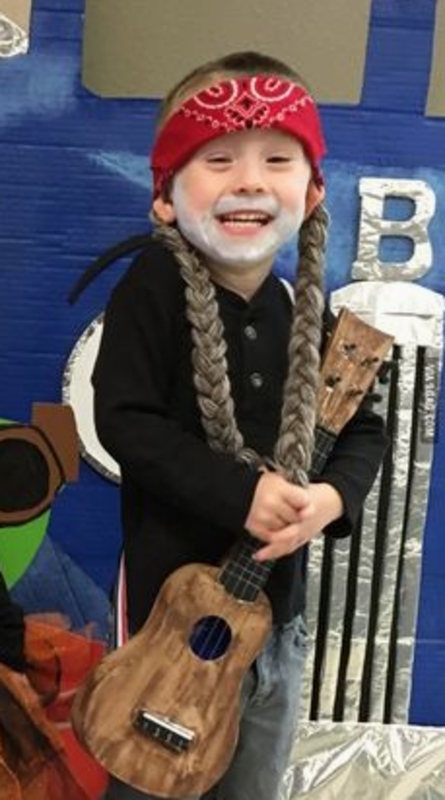 Tiny baby Willie. 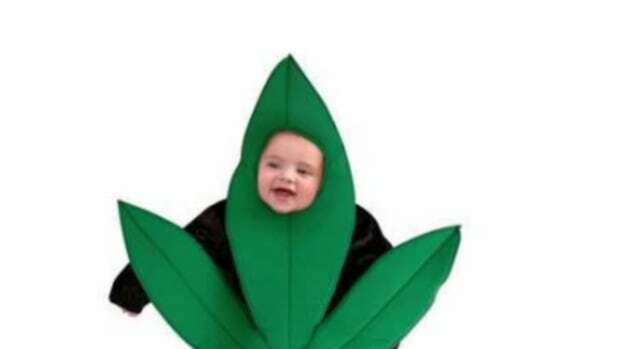 Let’s just be glad nobody put a joint in his hand to make this costume really complete. 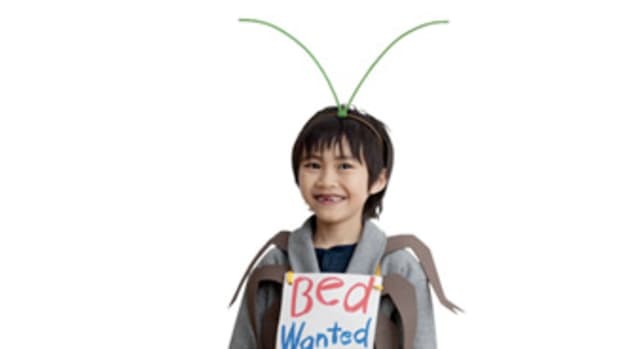 Lloyd Christmas, everyone. 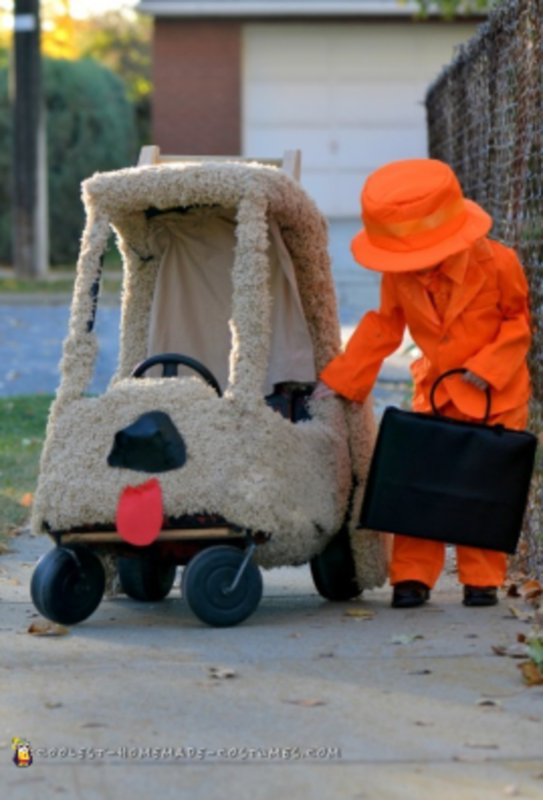 Mutt Cutts van included. 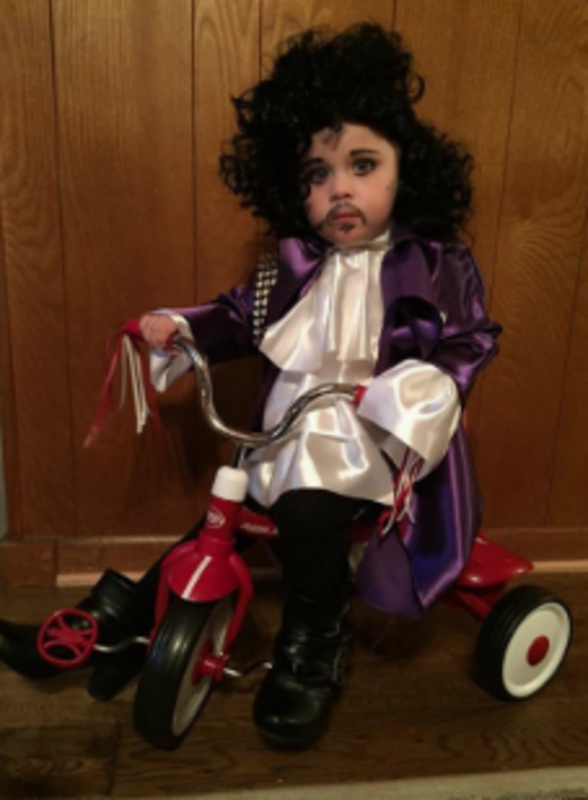 Pure genius. 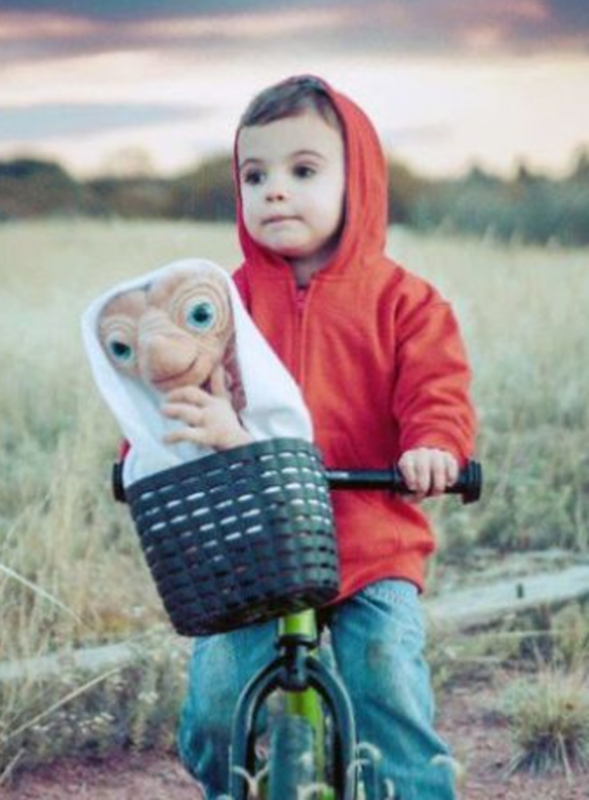 The odds your 3 year old has viewed E.T. 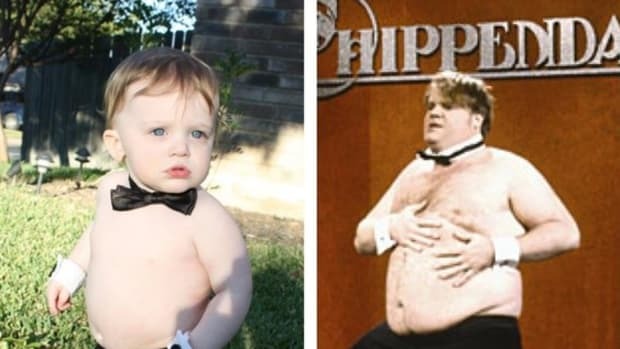 are slim, but he makes an adorable Elliot so yes, this feels right. 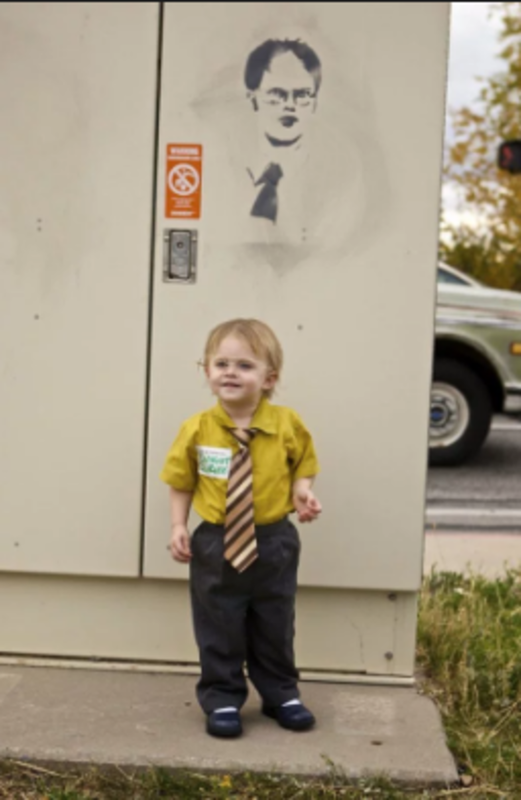 Look, if your kid isn’t dressing up as Dwight Schrute…you’re doing it wrong. 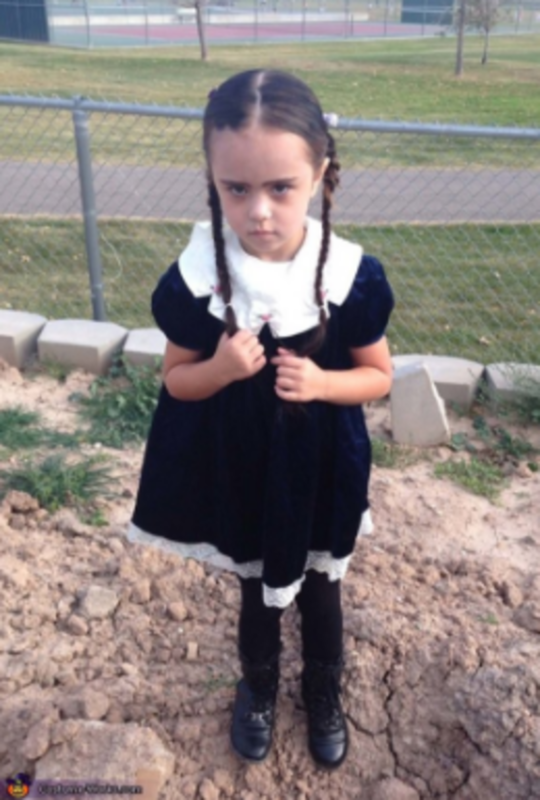 She doesn’t know who Wednesday Adams is and that’s okay because that RBF is solid gold. 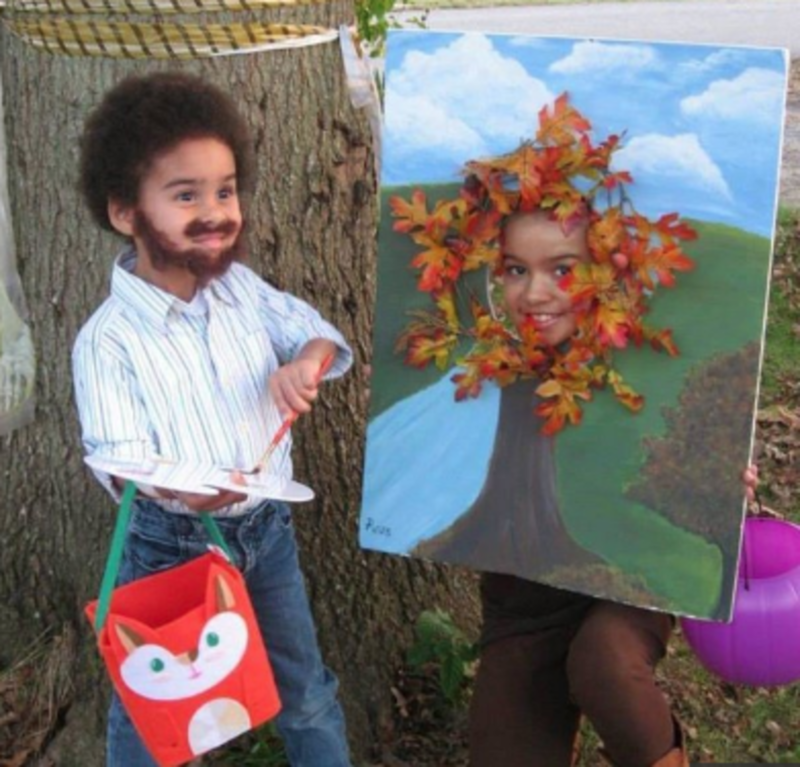 Bob Ross and his happy tree, this feels right. 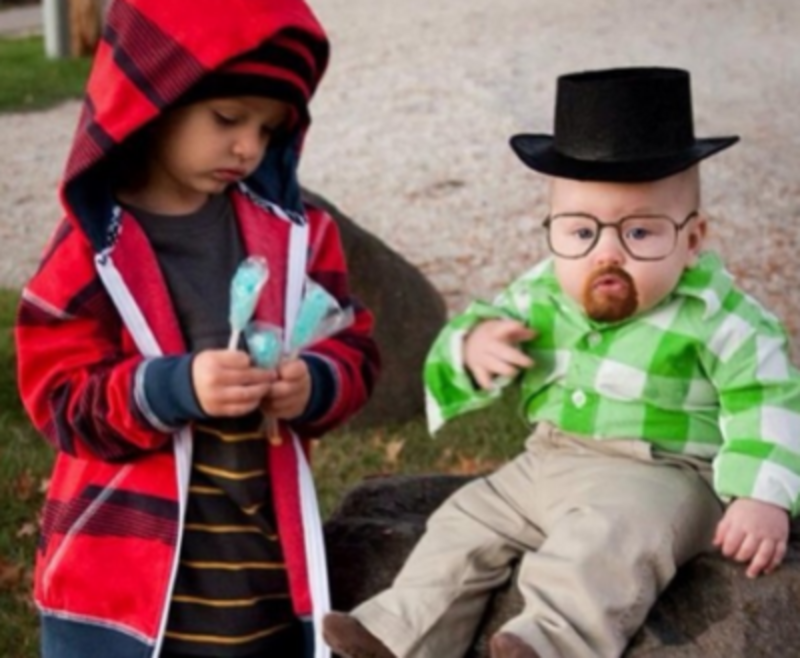 Jesse and Walter at your service, complete with blue sky rock candy, and I die from equal parts shame and joy. 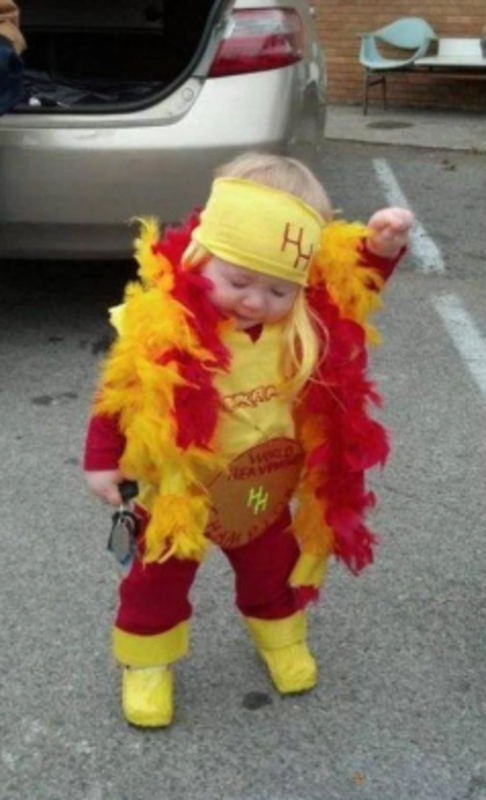 Hulkmania happened long before this little zygote came to be, but thanks to this costume we all get to enjoy it again and I ain’t mad. 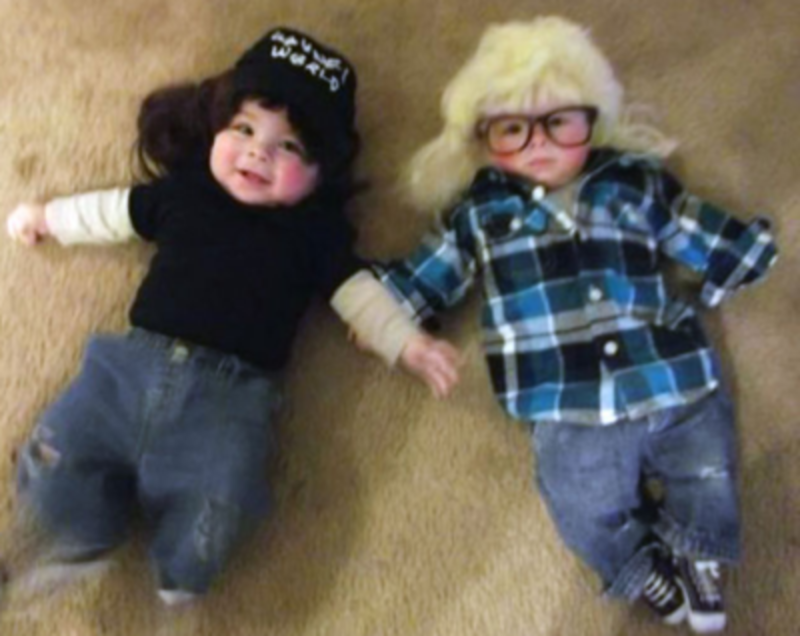 FYI Mike Myers is 53 and Dana Carvey is 62 so party on Wayne, party on Garth. 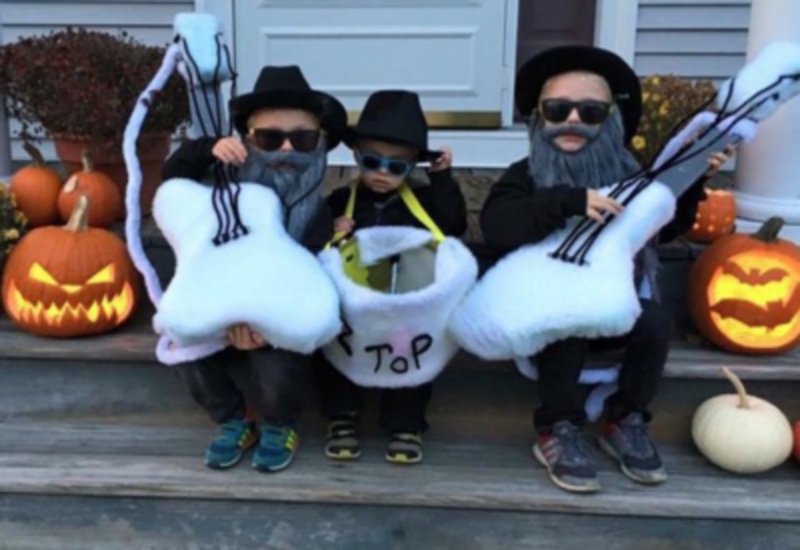 Saved the best for last, obvs. 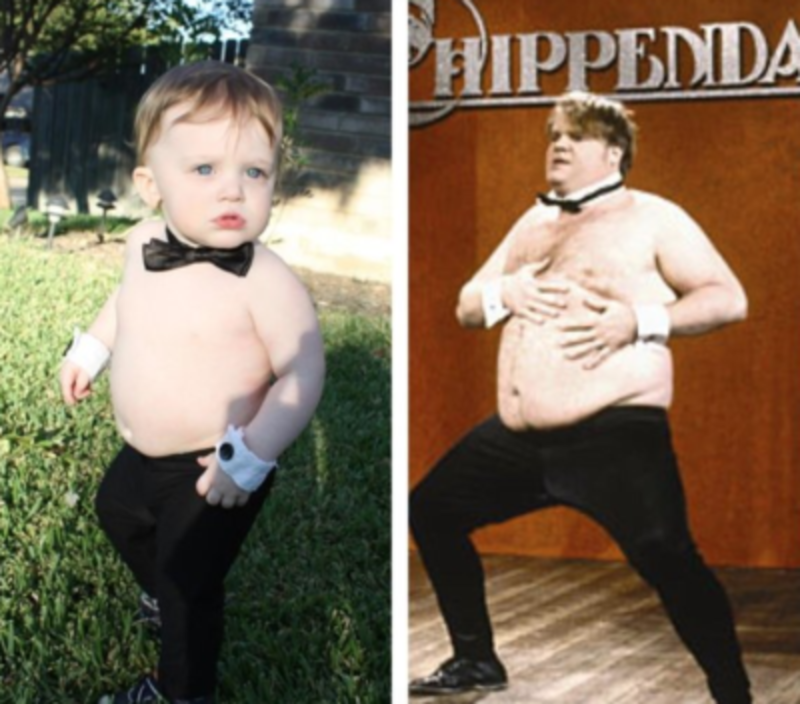 Dressing your kid up as Chris Farley playing a male stripper is severely disturbing on many levels. 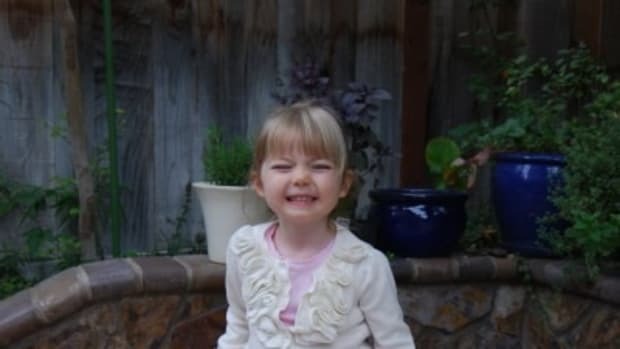 But here we are, and it’s funny anyway.